Leon Russell's accolades are monumental in a number of categories, from songwriting (he wrote Joe Cocker's "Delta Lady") to session playing (with the Rolling Stones and Bob Dylan, just to name a few) to his solo work. Unfortunately, it's the last category that never really attracted as much attention as it should have, despite a multitude of blues-based gospel recordings and piano-led, Southern-styled rock albums released throughout the 1970s. 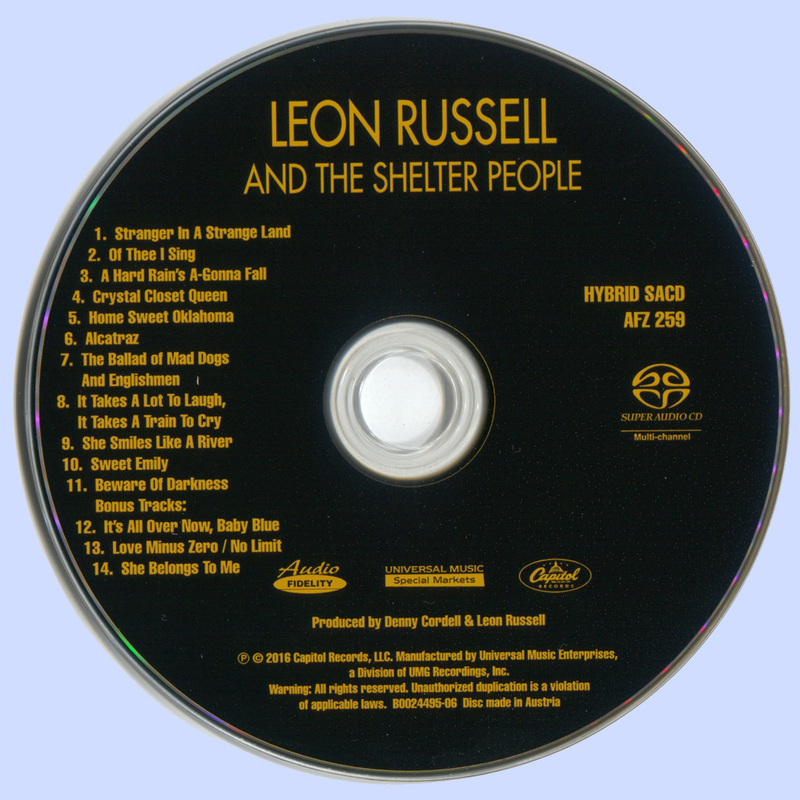 Leon Russell and the Shelter People is a prime example of Russell's instrumental dexterity and ability to produce some energetic rock & roll. Poignant and expressive tracks such as "Of Thee I Sing," "Home Sweet Oklahoma," and "She Smiles Like a River" all lay claim to Russell's soulful style and are clear-cut examples of the power that he musters through his spirited piano playing and his voice. His Dylan covers are just as strong, especially "It's All Over Now, Baby Blue" and "It Takes a Lot to Laugh," while "Love Minus Zero/No Limit" and "It's a Hard Rain Gonna Fall" have him sounding so forceful, they could have been Russell's own. A hearty, full-flavored gospel sound is amassed thanks to both the Shelter People and the Tulsa Tops, who back Russell up on most of the tracks, but it's Russell alone that makes "The Ballad of Mad Dogs and Englishmen" such an expressive piece and the highlight of the album. 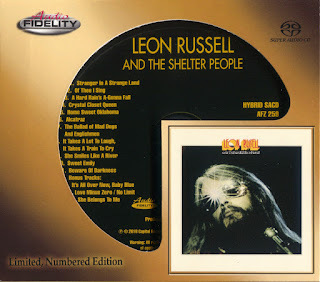 On the whole, Leon Russell and the Shelter People is an entertaining and more importantly, revealing exposition of Russell's music when he was in his prime. The album that followed, 1972's Carney, is an introspective piece which holds up a little better from a songwriting standpoint, but this album does a better job at bearing his proficiency as a well-rounded musician.